Have your every wedding wish fulfilled! 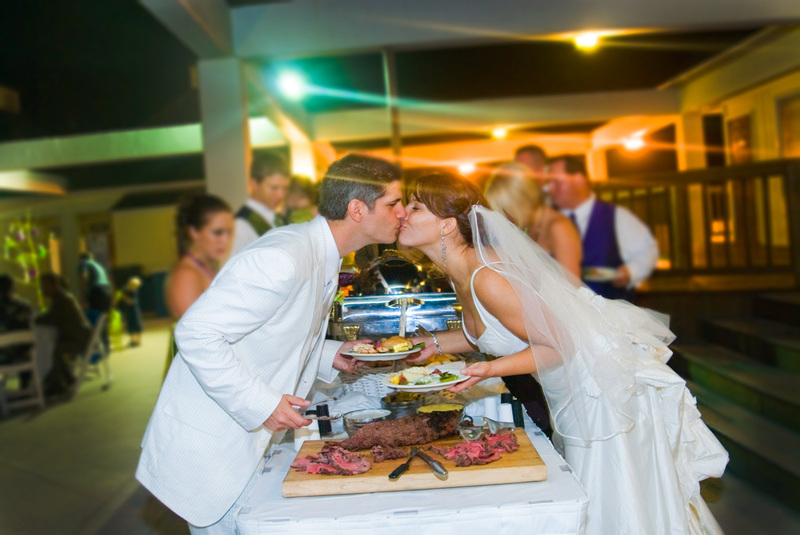 Kelly’s Outer Banks Catering is a premier wedding catering company and specializes in custom menus and design. Our culinary and event team is an integral part of the planning process and is always happy to create a menu specifically for you. With our innovative designs and wide range of available themes, we will plan the event of your dreams. Our team is here to make the day you’ve always dreamed of, the day you’ll never forget. From a handcrafted menu to a professional, highly-trained team of servers, we will customize your wedding to suit your needs. Kelly’s will guide you every step of the way, ensuring your big day is effortless and unforgettable. We’ll work closely together every step of the way to make sure no detail is overlooked. From buffets to elegant sit-down dinners, all meals are prepared and served with great care by our staff of professionals. Each menu is designed to reflect your vision, and we offer a wide range of menu options for every budget. Feel free to browse our sample menus for inspiration, and we are always excited to explore new, unique, and original ideas.